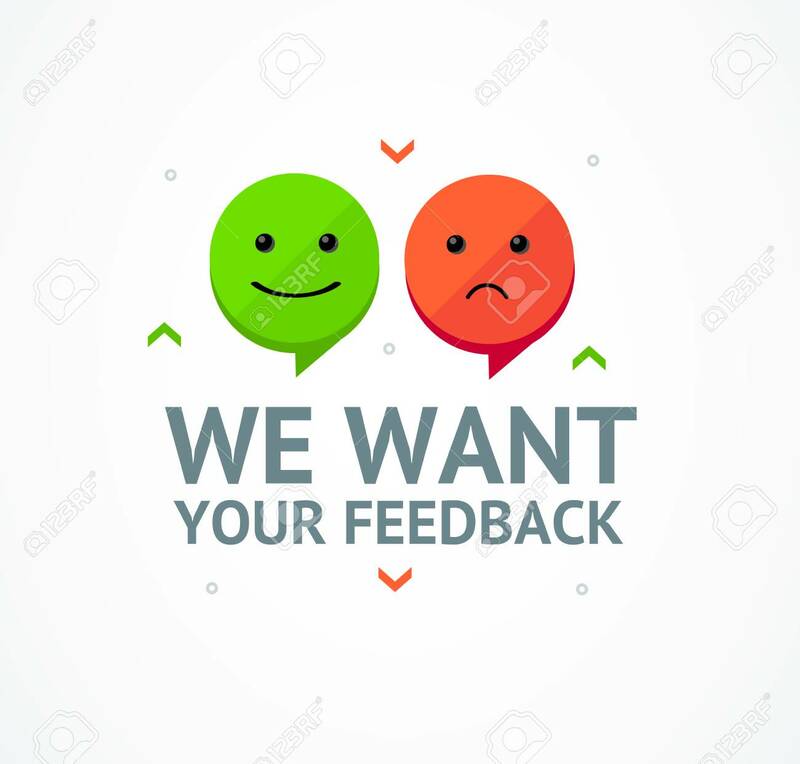 We Want Feedback Card Background With Emoji Or Smile Concept Customer Evaluation Satisfaction. Vector Illustration Of Opinion Service Lizenzfrei Nutzbare Vektorgrafiken, Clip Arts, Illustrationen. Image 114725944.